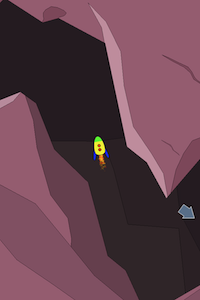 Pilot your rocket through rocky caverns and mysterious caves to a safe touchdown at your home base. Unfortunately an overzealous engineer has built bases in progressively deeper and more inaccessible locations. 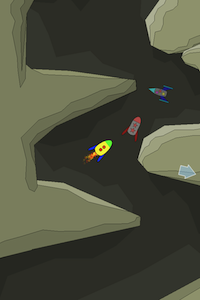 No problem, because thanks to your super precise touch controls, you can navigate the tightest corners and squeeze through the narrowest tunnels to reach your destination. Touch down softly and you can breathe again. Move on to the next level, or try again and race against the 2 or 3 star rocket for greater glory. 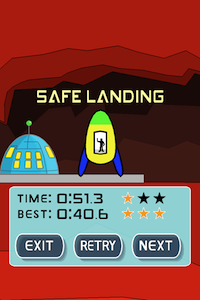 Race the 2 or 3 star rocket, or your own fastest time. Or all three at once!